The Krashna Chamber Choir is a small group of about 16 singers who also sing in the Krashna Choir. 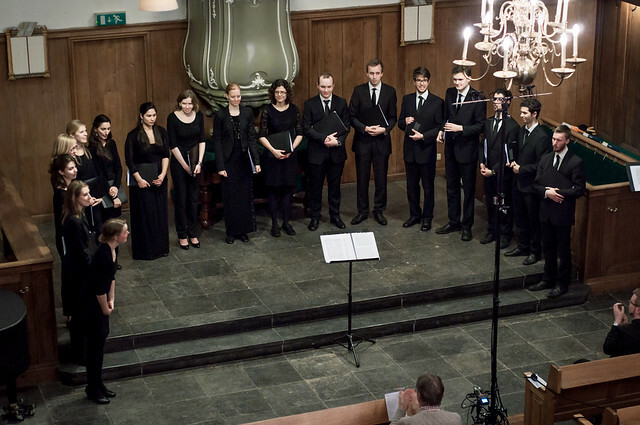 Since the rehearsal tempo of the chamber choir is higher than that of the choir, the members of the chamber choir are expected to prepare their own parts at home. As a consequence, the chamber choir can invest a lot of time in developing the quality of sound during the rehearsals. Every project of the chamber choir features classical pieces from many musical periods and composers. Depending on the theme of the project, it could happen that the repertoire includes pieces of both Tichely and Morley. In contrast to the choir and the orchestra, the chamber choirs aims to have a different conductor for every concert. Consequently, every project will sound different, corresponding to the interpretation of a different conductor.